Shawn K. Woods "The Strategic Master"
> Shawn K. Woods "The Strategic Master"
Kids' Party Entertainments > Shawn K. Woods "The Strategic Master"
Mr. Shawn K. Woods is a highly sought after International Speaker, Trainer, Coach, Entrepreneur and Author. He specializes in powerful keynote/motivational speeches,Leadership Development, Talent Management, and Coaching services for individuals and businesses. Mr. Woods has delivered over 750 powerful speeches and training sessions in forty seven states and several foreign countries including Canada, Italy, Bahamas, Aruba and the Continents of Europe and Africa. He has authored a book titled; Bullying Exposed: in Schools, Workplaces, Cyberspace and Against the Elderly and a motivational CD titled; PEPP Talk: Finding your Purpose, Enthusiasm, Passion and Potential (TM). He loves cultivating, inspiring and encouraging his audiences to find their passion, execute their plans and make personal and professional decisions that will enhance and enrich their lives. 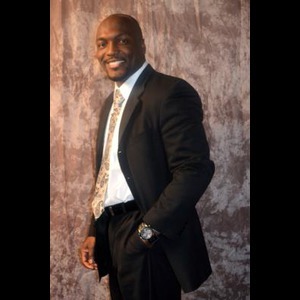 As a Coach, Mentor and Advisor to those who have been fortunate enough to attend one of his dynamic speaking engagements, Mr. Woods has been able to nurture and motivate individuals, teams and organizations to perform at a higher level for success. * Identify new opportunities, and * Create leaders and team players, instead of managers and employees? If you answered YES to any of the above, contact "The Strategic Master" TODAY! Shawn K. Woods is committed to making your event a success. Shawn's dynamic leadership development, talent management, and coaching programs and speaking services are fully customized to meet your needs. They are also designed to pinpoint the core issues that are working against your organization, and instill change from the ground up. 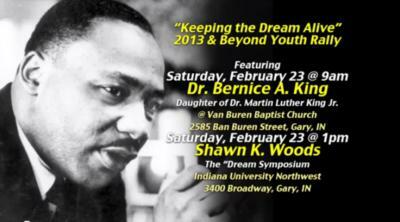 Very few speakers have been able to captivate both YOUTH and ADULT audiences. Mr. Woods' dynamic and engaging style gets the audience involved and keeps their attention throughout his highly interactive and engaging presentation. If you are ready to Open your mind and give your participants an opportunity to reach their full potential Book "The Strategic Master" TODAY! 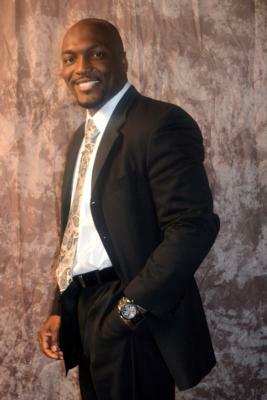 GUARANTEE: "Hello my name is Shawn K. Woods, I will work with you to make your event a success. I have been known for giving audiences a piece of the PIE. I leave them feeling PROMOTED, INSPIRED, and EMPOWERED to be all they can be and then some. I look forward to working with you." Mr. Woods has since achieved great academic and professional successes. His list of academic accomplishments include: an Associate Degree, a Bachelor of Arts Degree, a dual Master's Degree in Business Administration and Human Resources. During his pursuit of higher education, Shawn was as a Law Enforcement Officer and a Decorated Detective. He has also held notable positions as an Assistant Director of Human Resources for the Board of Education as well as an Investigator for the Office of the Executive Inspector General for the State of Illinois. Shawn and his works have been featured in The Chicago Tribune, The World Tribune, Indiana Daily Student News, The Maywood Herald and Cleaning and Maintenance Online Magazine. Shawn has received numerous awards and honors throughout the years incuding a proclamation from Mayor Mark Kruzan of Bloomington, Indiana for his partnership with the City of Bloomington, Indiana University & his role in providing enlightening strategies to combat bullying. My team was very impressed! Shawn adapted his presentation to our companies needs and hit the target dead on. we all learned several new ways to becomemore productive and increase accountability within our rankes and amongst ourselves. Great energy, Great material, Great experience! we will be looking foward to Shawns next visit! Please note Shawn K. Woods "The Strategic Master" will also travel to Carol Stream, Bartlett, Glendale Heights, Hanover Park, Roselle, Medinah, Schaumburg, Addison, Glen Ellyn, Itasca, West Chicago, Wheaton, Winfield, Streamwood, Wayne, Elk Grove Village, Lombard, Wood Dale, Bensenville, Hoffman Estates.